There are a couple of exciting DPPs for the Swans with Jared McVeigh named as a DEF/MID and both Tom Mitchell and Luke Parker coming in as MID/FWDs. Of course Buddy Franklin offers a lot of value. There are a couple of exciting DPPs for the Swans with Jared McVeigh ($529,900) named as a DEF/MID and both Tom Mitchell ($488,700) and Luke Parker ($459,000) coming in as MID/FWDs. 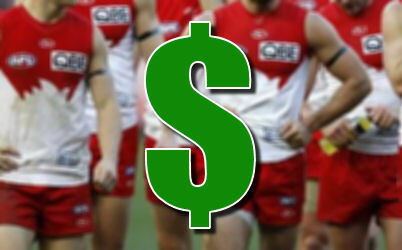 Of course Buddy Franklin ($426,500) offers a lot of value. Alex Johnson could be a better bench option than say a Kade Kolodjashnij, will he be fit round one? liking the look od alex johnson as mid pricer in def good option? ?